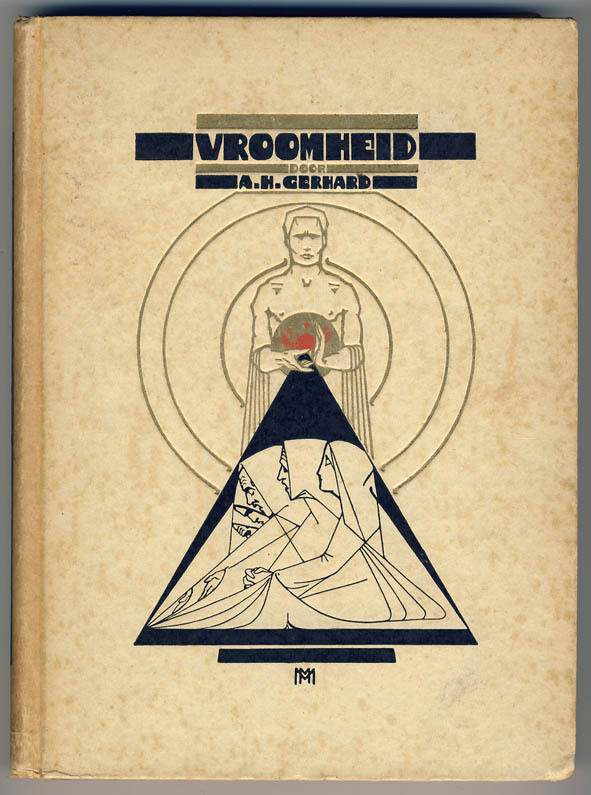 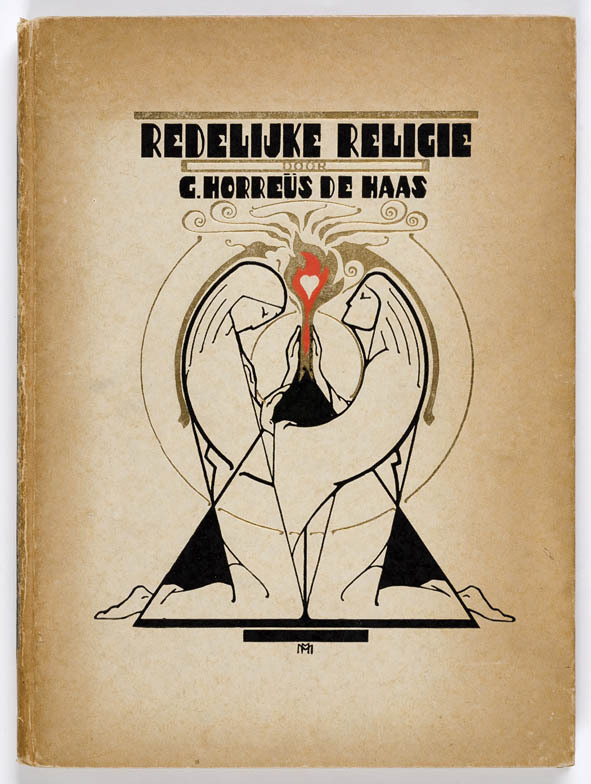 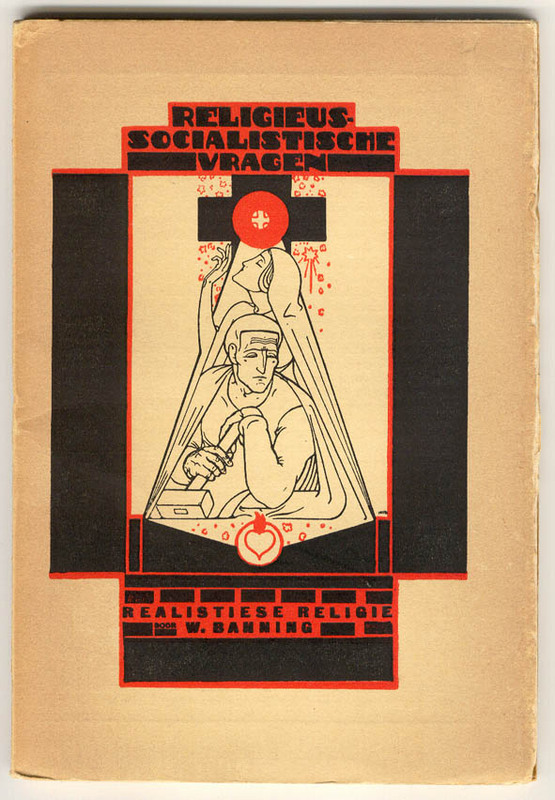 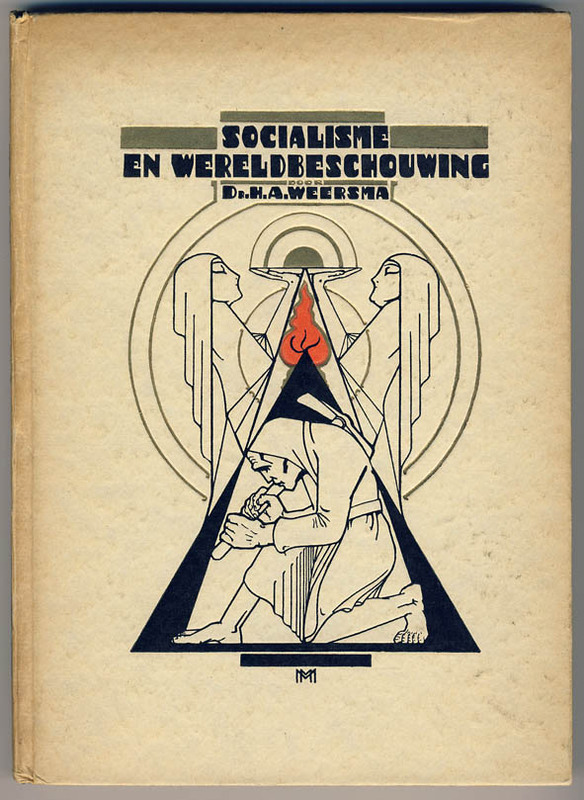 Symbolism had a major impact on Dutch book art. 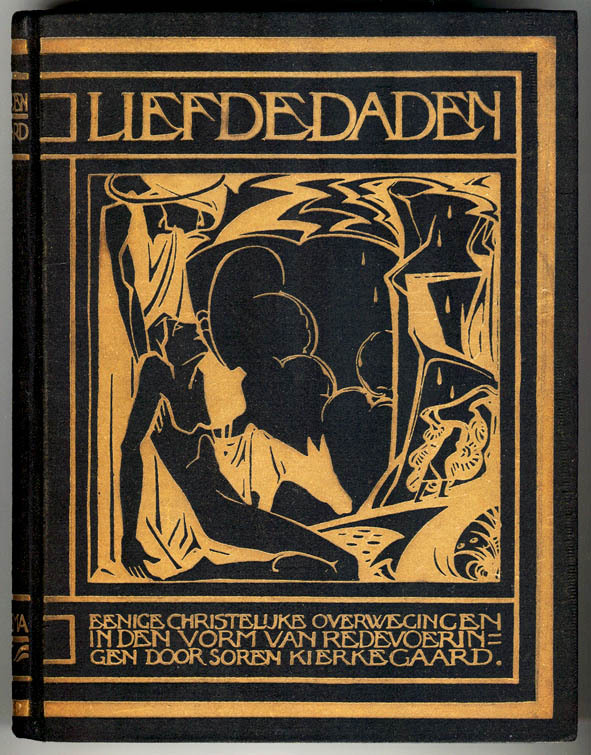 Although the high point of symbolist painting was between 1890 and 1910, Dutch book designers used the same imagery until in the 30s. 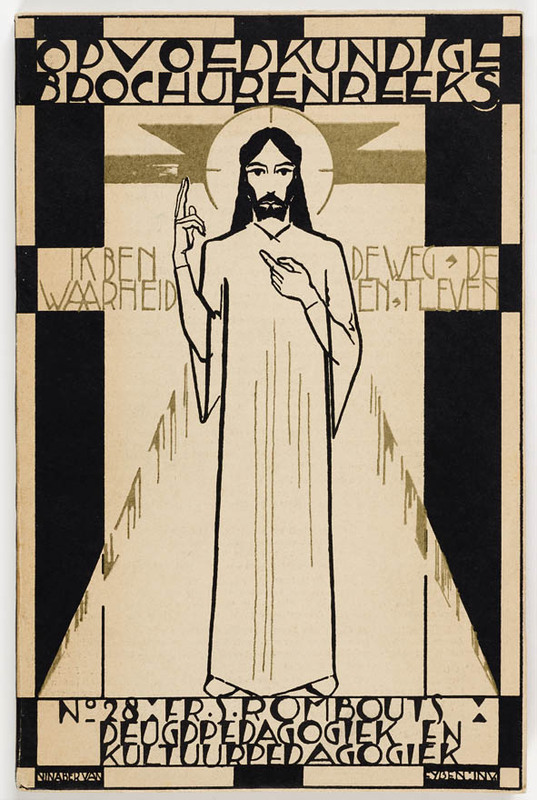 Their work was highly influenced by the art of Dutch symbolist painters like Jan Toorop and Willem van Konijnenburg. 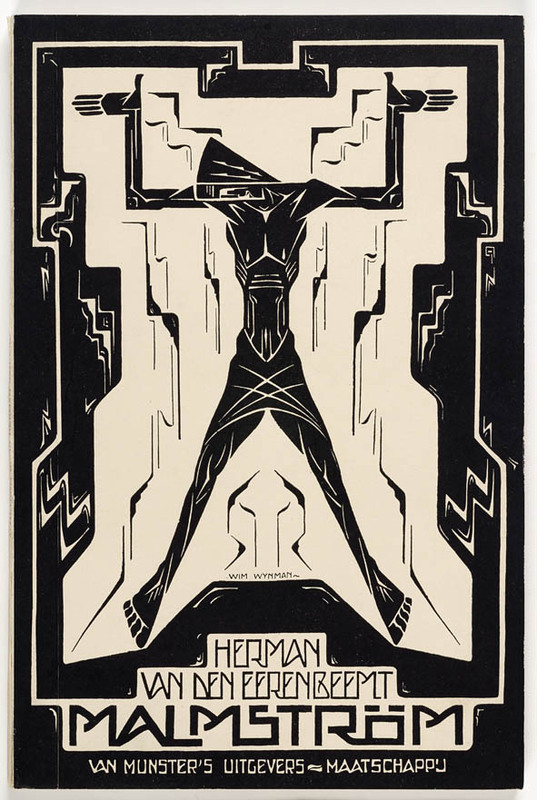 Both worked in a geometric style with stylized figures. 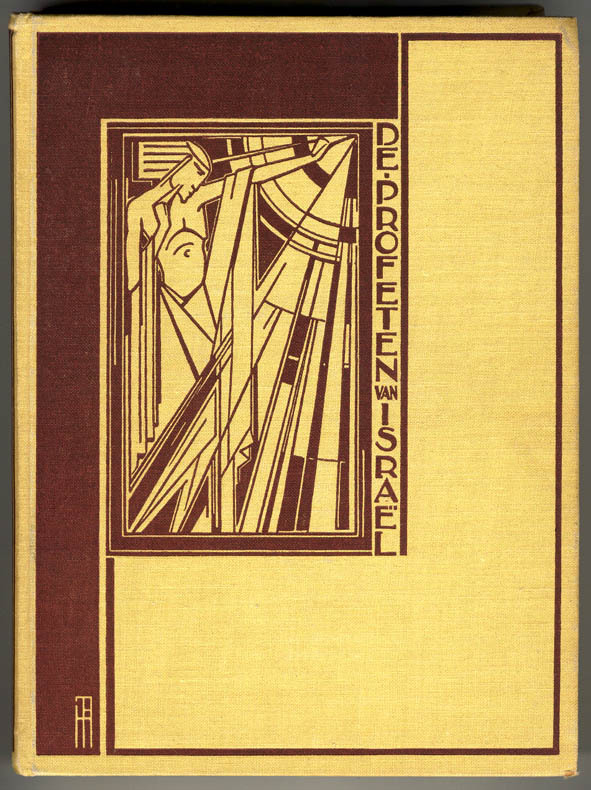 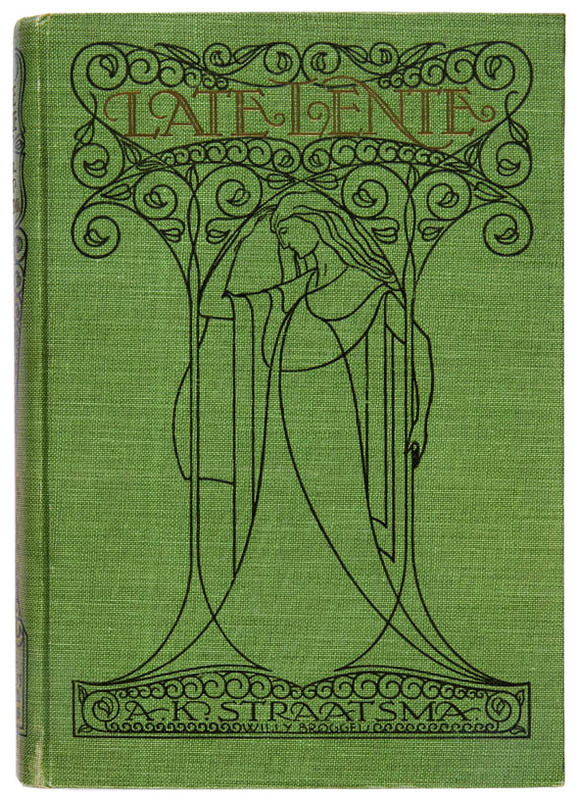 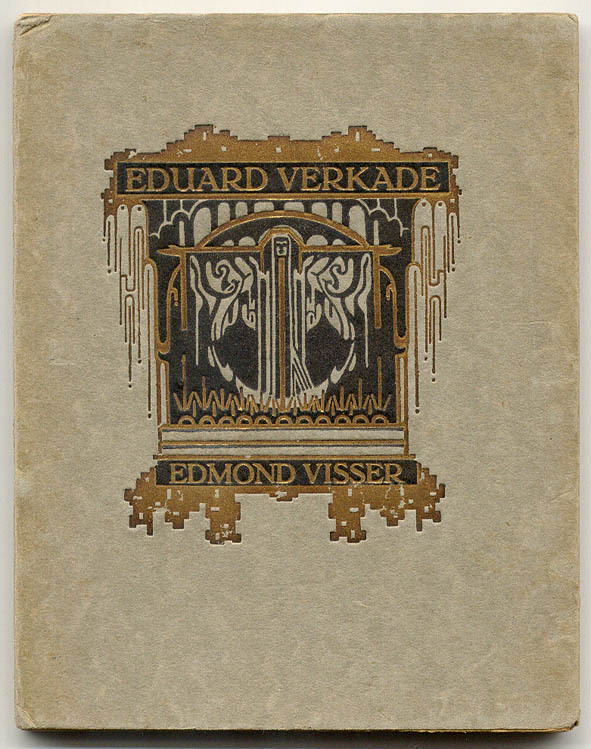 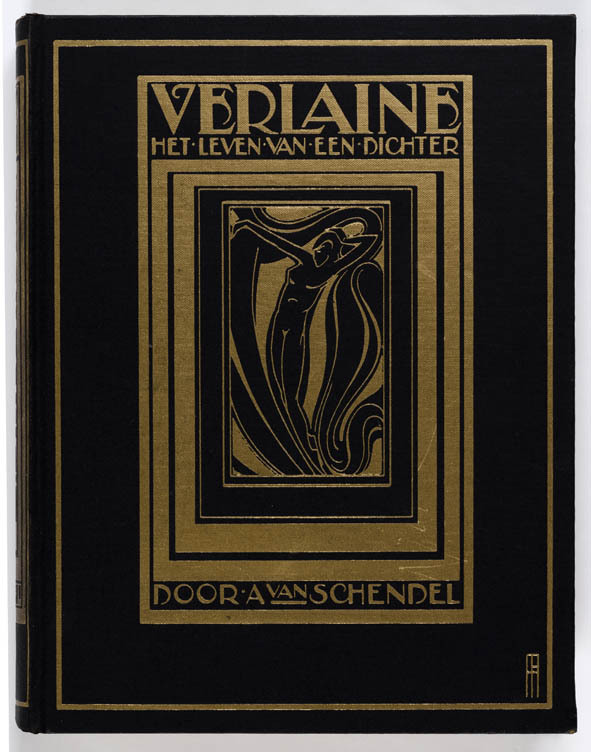 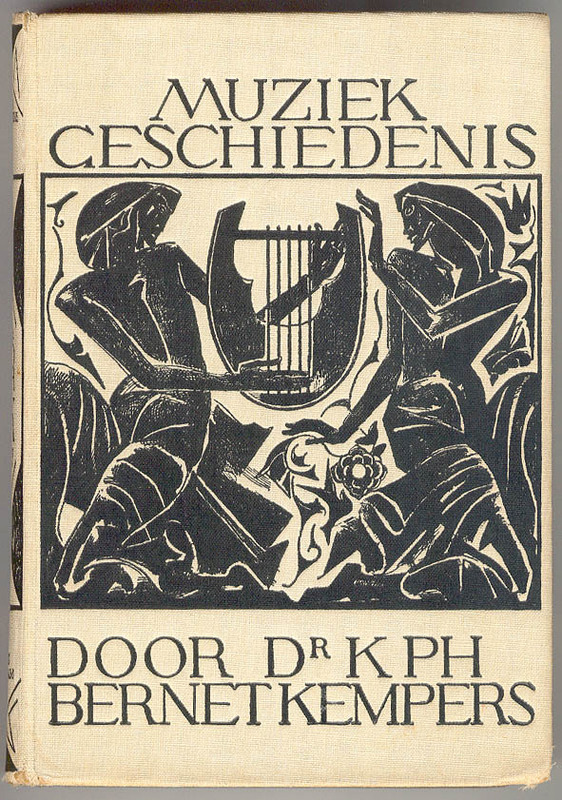 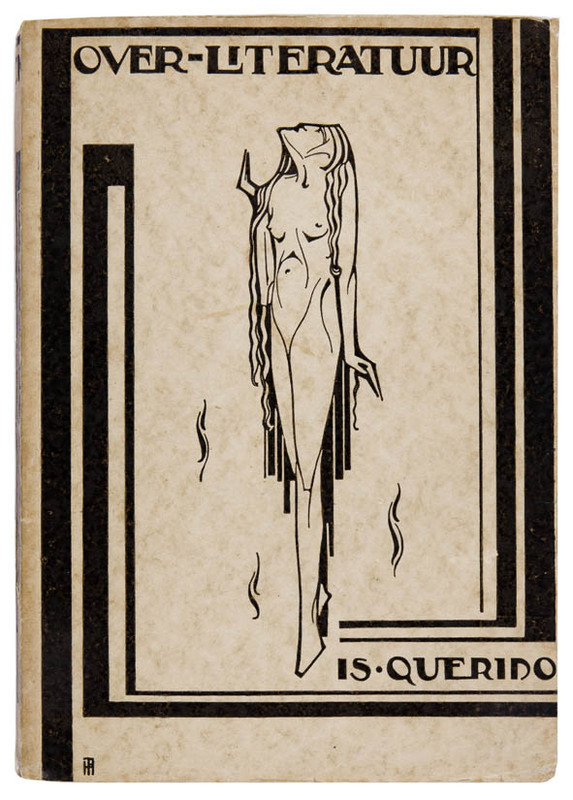 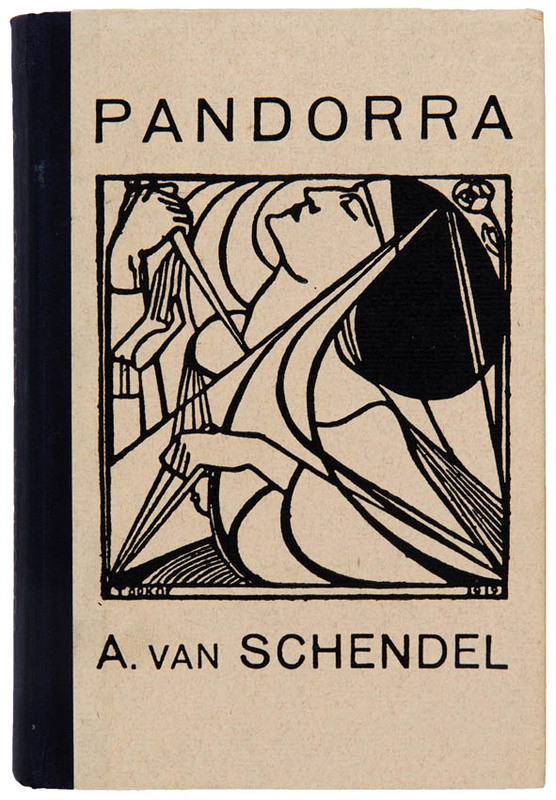 Especially Toorop designed many bookbindings himself. 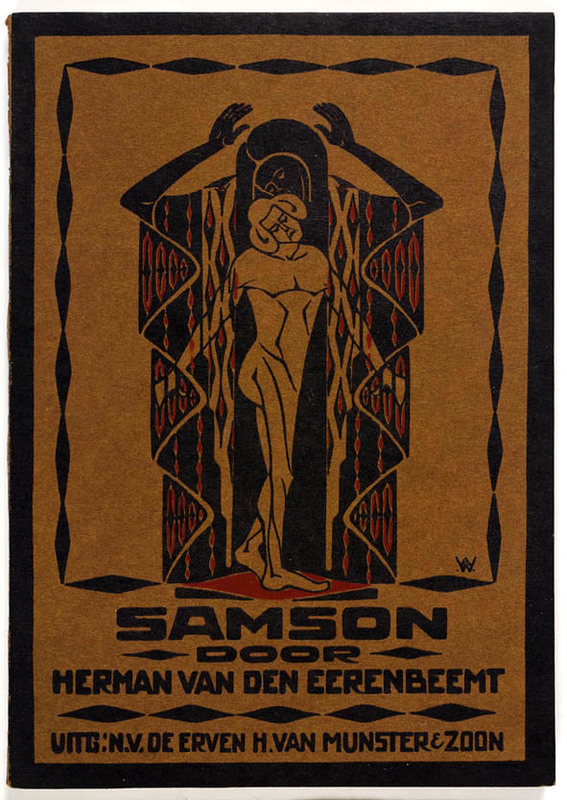 The symbolist style was adopted by the next generation of designers, such as Pieter Hofman, Maarten Meuldijk and Wim Wijnman. 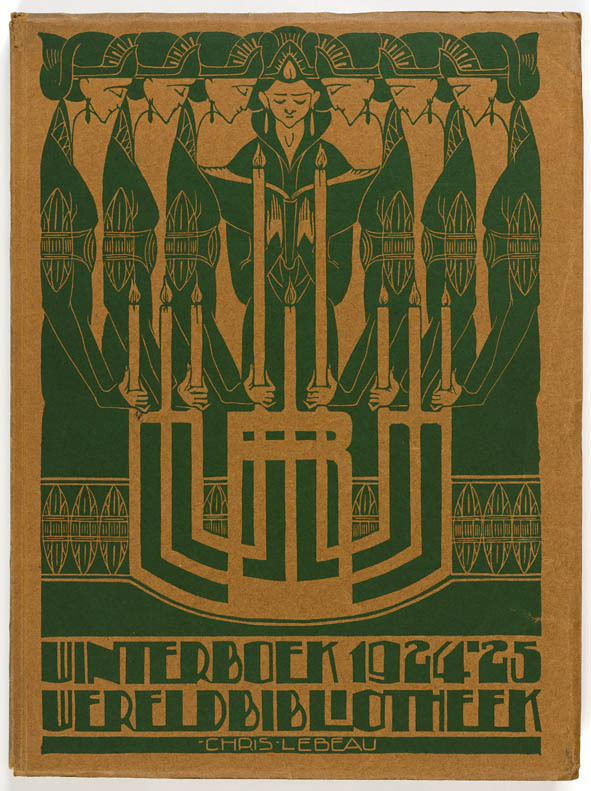 They combined Symbolism and Art Deco into a new style. 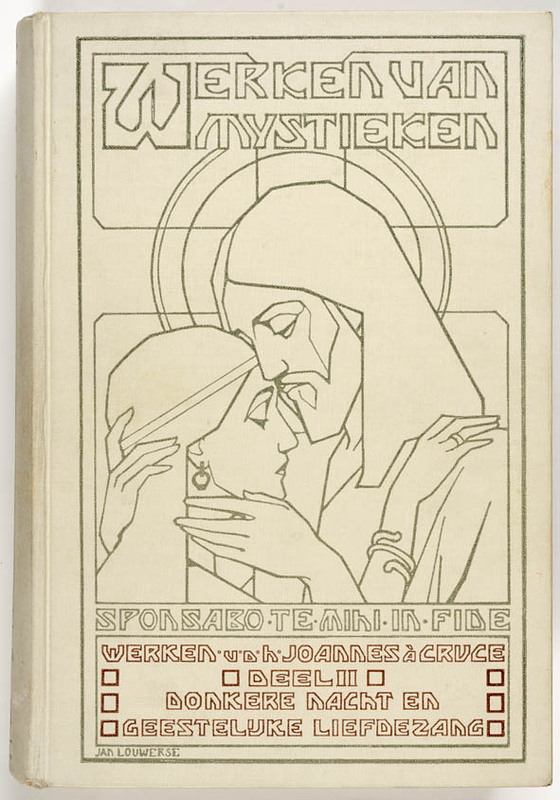 The symbolist imagery was used to illustrate novels and all kinds of religious and esoteric publications. 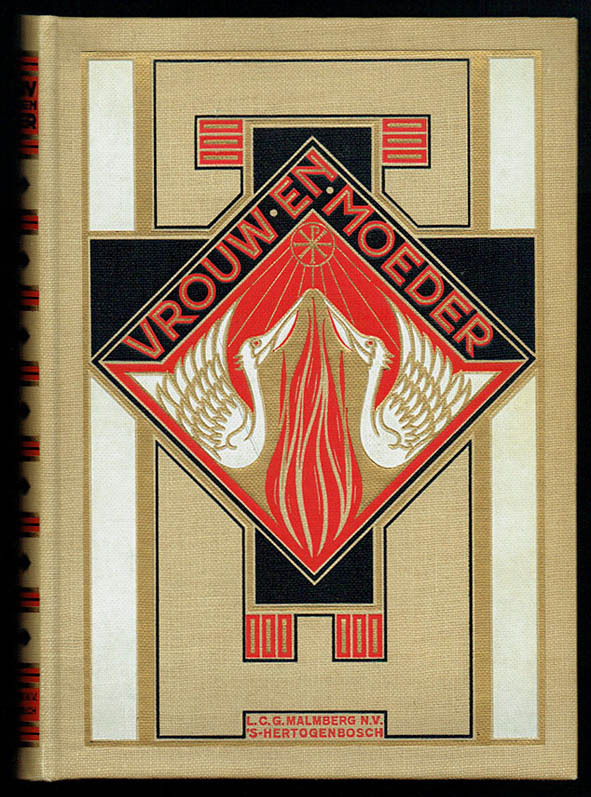 Just like in early Symbolism the woman is often depicted as a symbol for higher values. 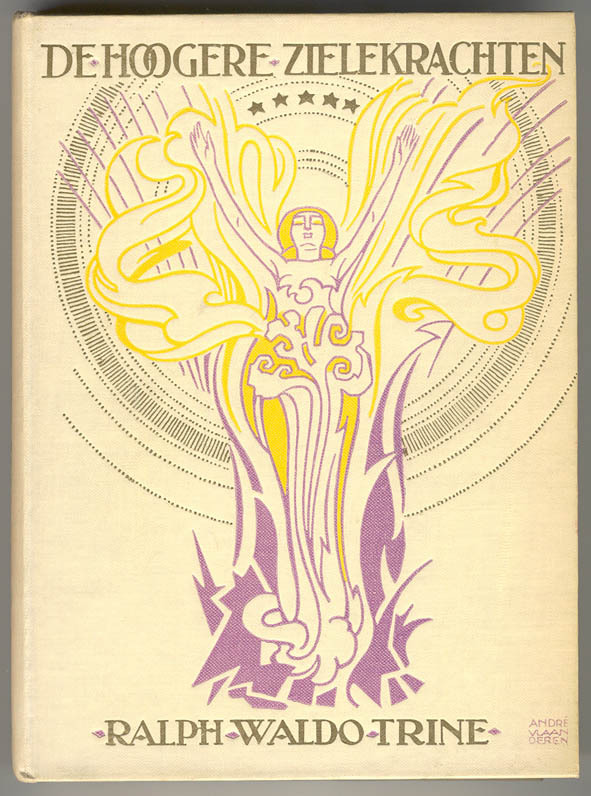 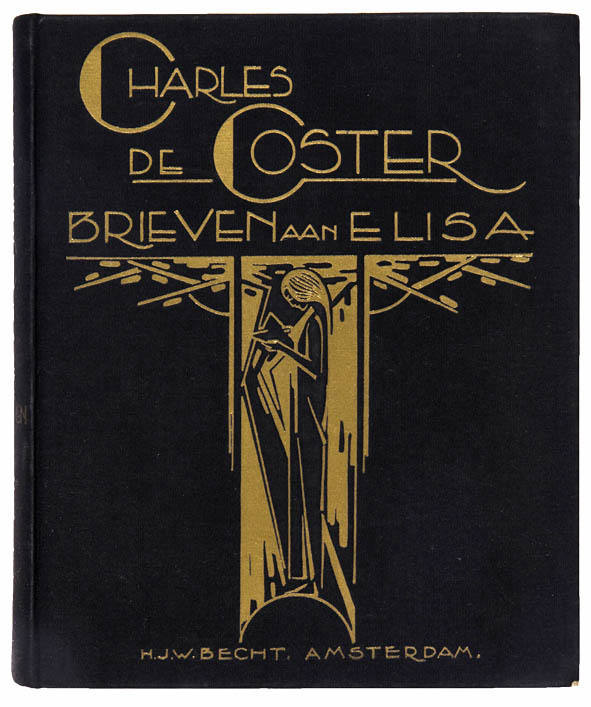 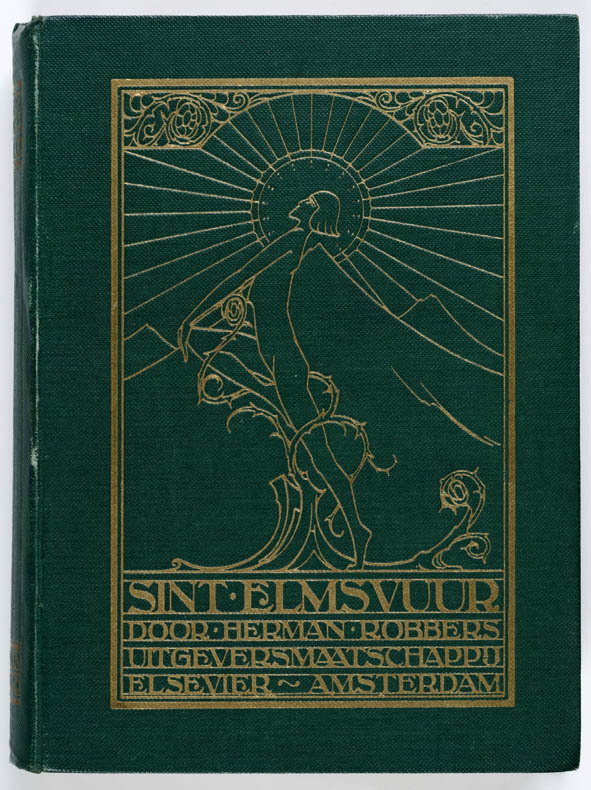 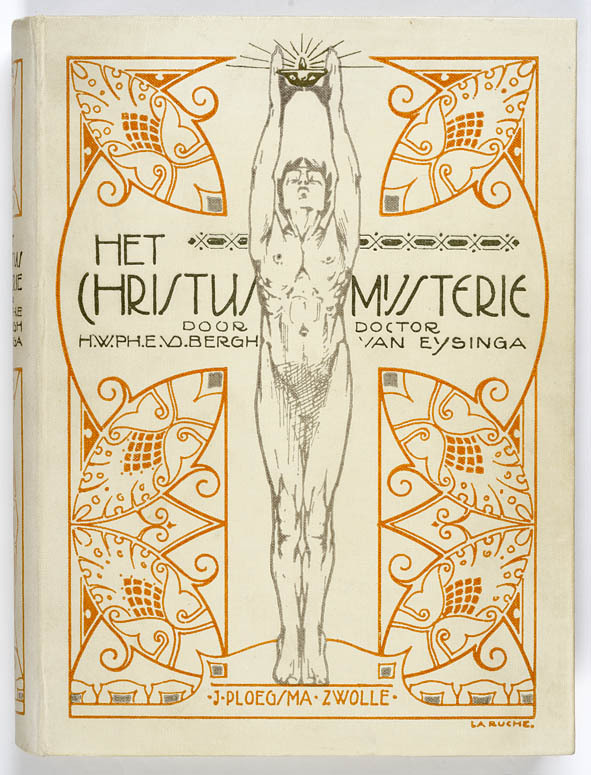 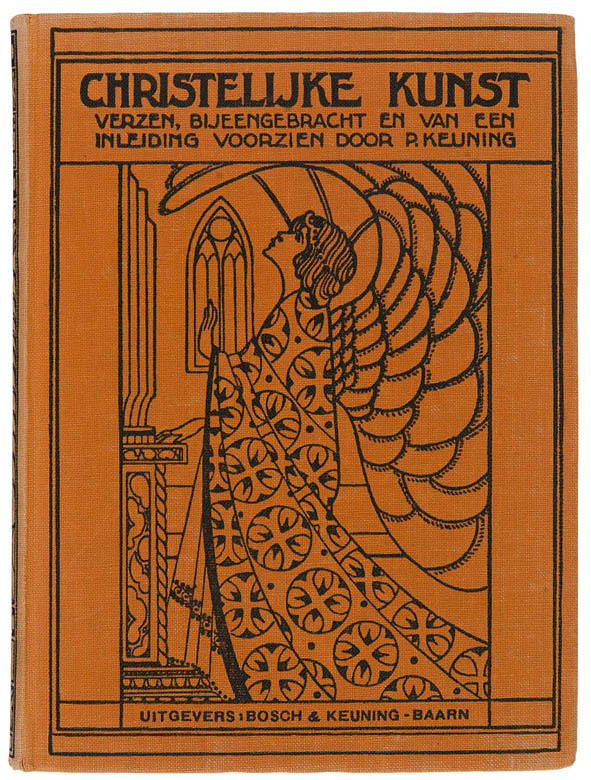 The Christ figure was also a popular motif in late symbolist book design. 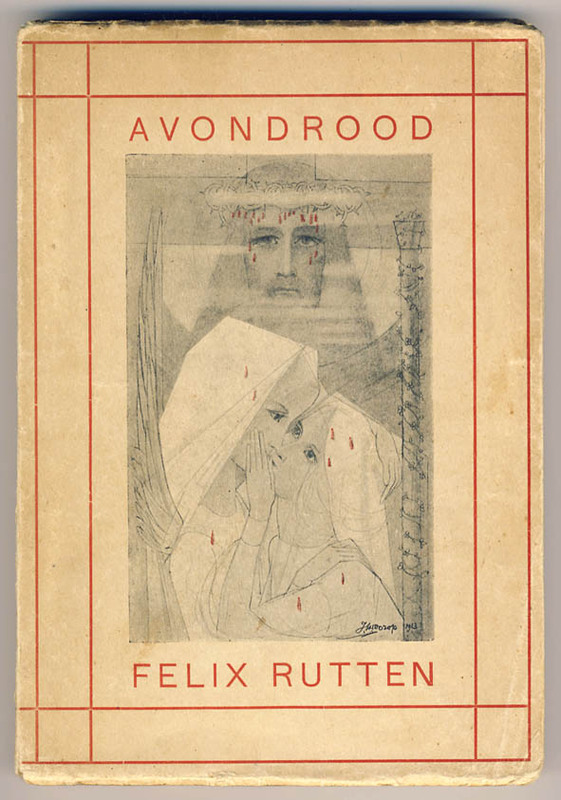 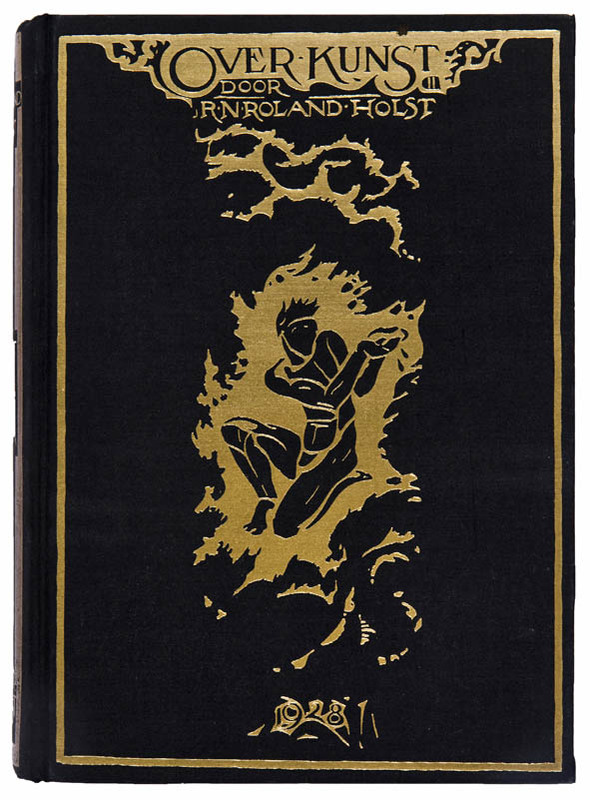 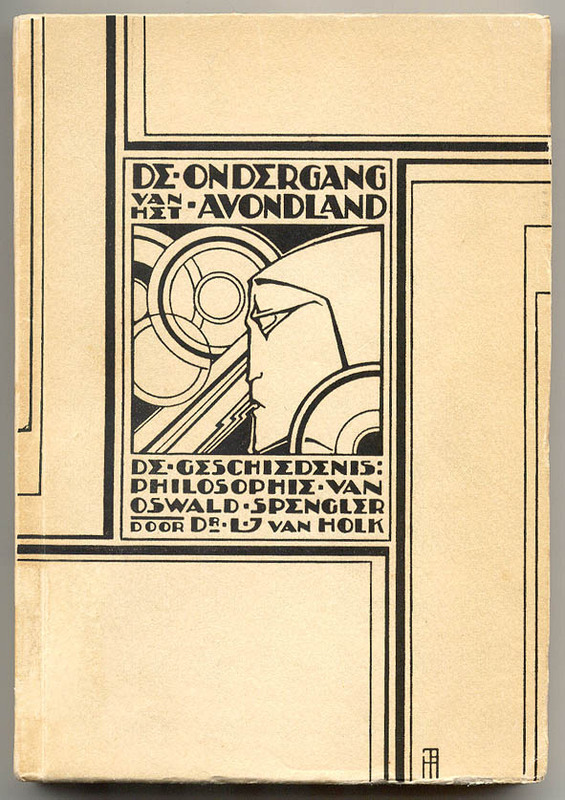 Over kunst en kunstenaars 1 (About art and artists 1), cover design: Richard Roland Holst (1923). 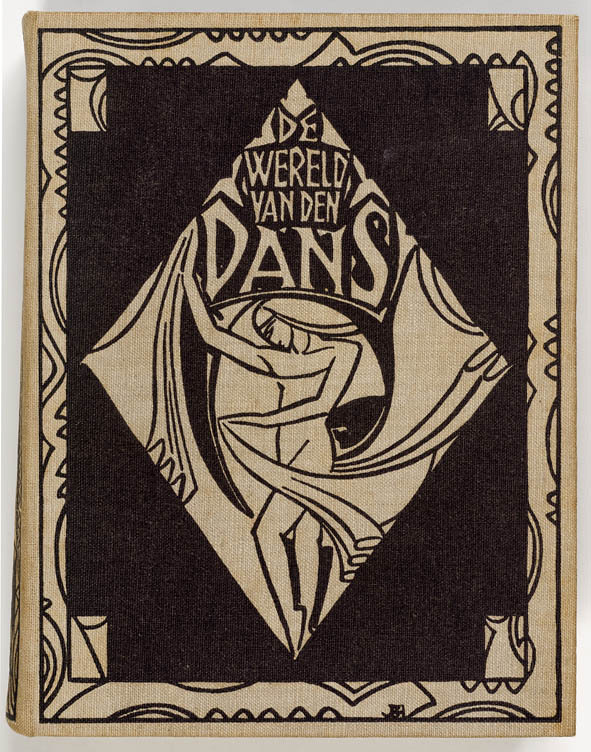 The pearl diver symbolizes the artist in his quest for beauty. 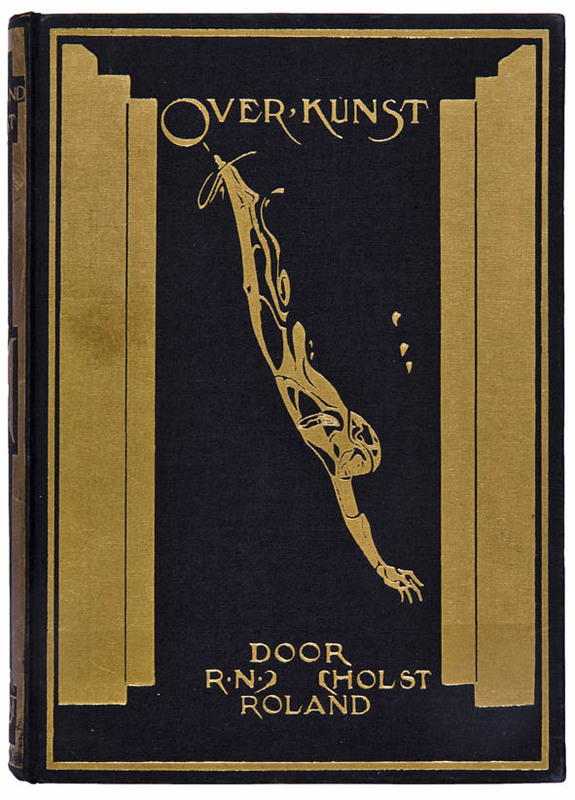 Over kunst en kunstenaars 2 (About art and artists 2), cover design: Richard Roland Holst (1928).